Atlantic Spins Casino is where you will find numerous games – more than 400 – from developers such as Microgaming, Play’n Go, NetEnt, and NextGen among others. Many of its customers praise it for the exceptional support service, although the agents are not available round the clock. Players who win can withdraw their prizes but they can only do so within the monthly limits. Additionally, the waiting time can be quite long, especially for those who already want to enjoy their winnings right away. The design of the website is mobile-friendly, which means you can play the games without going to a laptop or desktop. If you need any assistance, you can always turn to their live chat feature, which is available from 6 AM to 11 PM GMT. 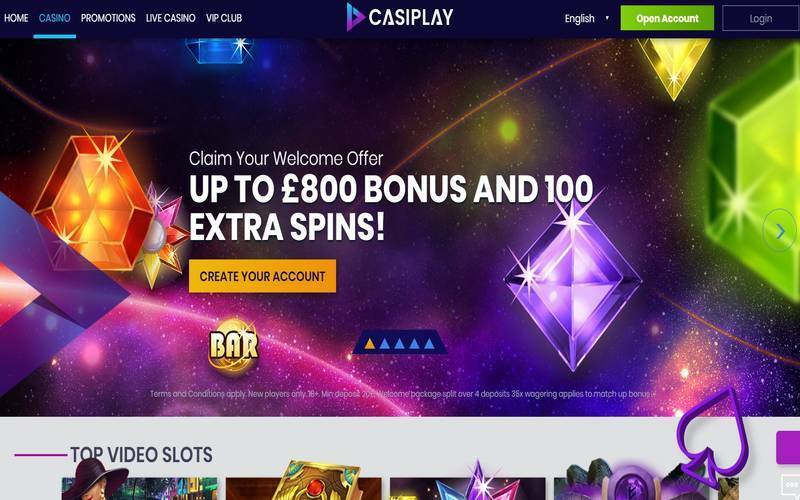 The website is UK Gambling-regulated and licenced. You can find top-tier providers of developers, giving you plenty of options for the games to play. The withdrawal times can be very slow compared to other casino sites. Live chat is not available at all times. Atlantic Spins Casino accepts various payment methods but not PayPal. Players from certain countries, including France, Slovakia, US, Spain, and Italy cannot play on the website. After you have signed up for an account, you can choose from more than 400 games on the website. These games include video slots from big-name developers, such as NetEnt and Microgaming. If you have a favourite game in mind, you can readily search for it on the site. Another way to find what you are looking for is to categorise the games or arrange them alphabetically. Some of the most popular games on the site are Twin Spin Slot, Energoonz Slot, Starburst Slot, and Fruity Friends Slot. Aside from those mentioned above, you can also find different table games, including blackjack, baccarat, and roulette variants. Meanwhile, if you are a fan of poker, you may also choose from the numerous video poker games at Atlantic Spins Casino, such as Joker Poker and Jacks or Better. Players can also choose from the scratch card games for an easy win. If you enjoy live games instead, Atlantic Spins Casino offers a wide selection of live games where you can compete with the friendly dealers who will make the experience interesting. Aside from the choices, such as live baccarat, live blackjack VIP, and others, you will also like the fact that these live games are available 24/7. Members who prefer to play on the go can take advantage of the site’s mobile features. You can use your smartphone or tablets to access the website. The games are fully optimised so you can play anytime and anywhere you want. 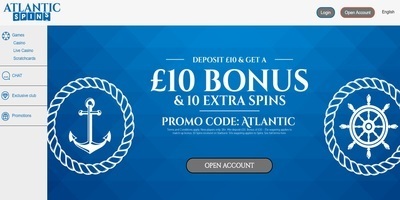 Atlantic Spins Casino has a live chat facility but you can also reach them from 6 AM to 11 PM GMT. If you need support outside these hours, you can contact them through email or phone. The casino uses SSL encryption so the details you enter, including your financial information, will remain secure. Random Number Generator (RNG) is also utilised and each game is tested and monitored by iTech Labs for fairness.